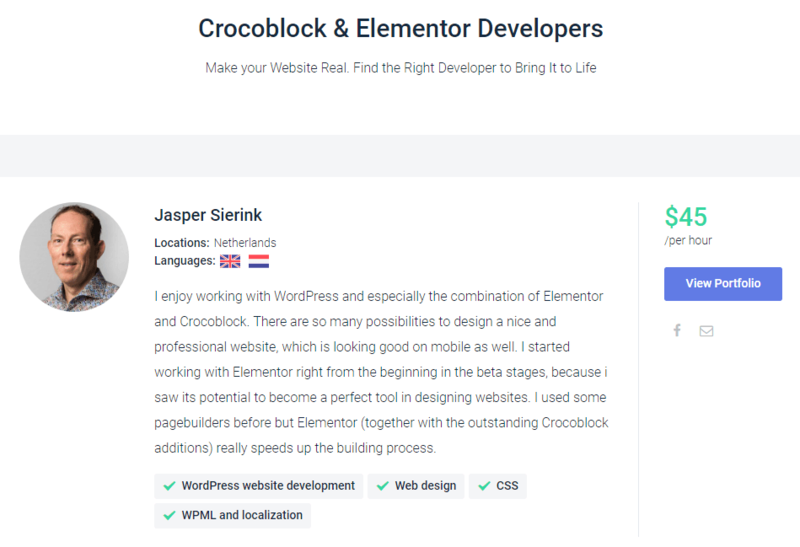 CrocoBlock&Elementor Developers section provides WordPress experts. While working with Crocoblock products, you can be sure that you are able to create a simple WordPress website even without any experience in the web development and web design areas. Of course, it’s always better to have somewhat skill, but CrocoBlock subscription is equally designed to be the ultimate solution for those people who are new to the Elementor-inspired universe. CrocoBlock developers always try to make the products very easy-to-use and provide them with extended documentation as well as video tutorials. However, sometimes you need an expert to implement your project, and you don’t have too much time to dwell into the process of using Elementor and Jet plugins. Perhaps, even having the right skills, you’re not sure that you can create a website from scratch, or you just have a too complicated project in your mind to do it all by yourself? 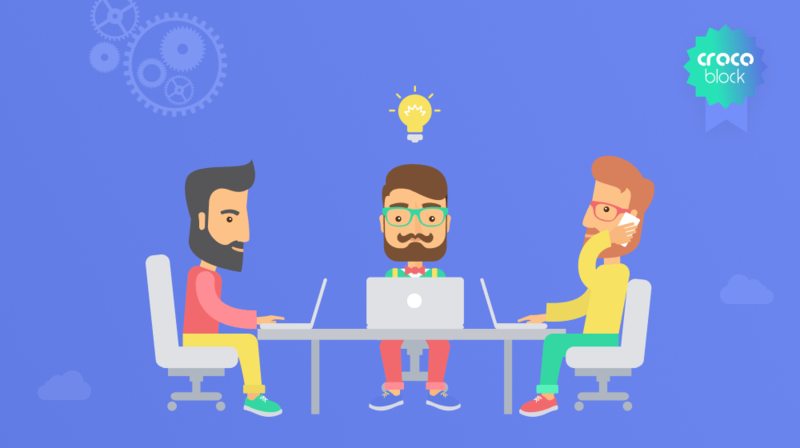 In this case, the CrocoBlock & Elementor experts list might help you find the right developer who is able to create a website for you, taking into account all your desires and requirements. They totally know the mojo, and will make everything efficiently and quickly, while keeping in mind all the features you need. Be it an e-Commerce online store, or a fully-fledged business website with custom post types and complicated post relations, the developers featured in the list will see to it that you get the website with exactly the content and functionality you need. These are the professionals all around the world, that have experience of creating all kinds of projects using Elementor and CrocoBlock. Actually, this is only the beginning of a totally new approach that will give an opportunity for everyone to create a website. At the moment, all you’ll have to do to create a website now, if you’re not confident in your skills, is choose a developer, judging by his portfolio, and email him to get more details. Feel free to check the CrocoBlock & Elementor experts list now, and make your dream website come true! Being a creative writer at Zemez , I 'm fond of top-notch technology and web development. I'm always passionate about everything new in this field and enjoy sharing the latest news with my readers. I would like to be listed on that directory. What can I do? Hi Daniel! You can contact us via email: [email protected] to discuss the details. Hi Angel! You can contact us via email: [email protected] to discuss the details.